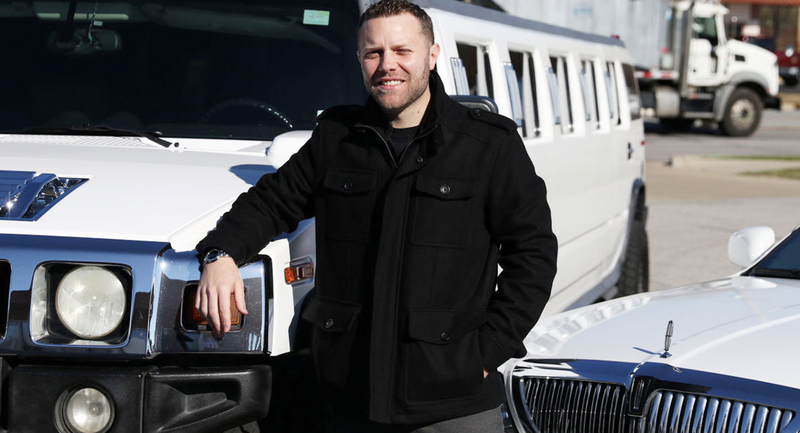 A combat veteran of the wars in Iraq and Afghanistan is now running a growing limousine business that serves Northwest Indiana. Former Indiana National Guardsman Joshua Seabrook got his start ferrying around soldiers who returned from war zones to be demobilized at Camp Atterbury near Indianapolis. Returning soldiers were outside of town with no cars, so Seabrook took them to pick up their cell phones, run errands, get tattoos or visit steakhouses and a nearby outlet mall. After getting out of the service, Seabrook had a single town car he used to launch his business by Camp Atterbury. Now he has a fleet of a dozen vehicles after he took over the family business, All-Around Limousine Service. The Portage-based limo service, which his grandfather founded in 1985, serves both Lake and Porter counties. All-Around takes people to airports, concerts, wedding, proms, Quinceaneras and nights out on the town. It’s ferried around corporate executives, including from Anheuser-Busch, and celebrities, including Republican presidential frontrunner Ben Carson and the Jackson family.